David Ricks (VR Media), Charles Weeks (Iguana Development), Rich Purdy (VR Media). The use of virtual reality (VR) to enhance a brand is becoming the norm from the music industry to the property sector. 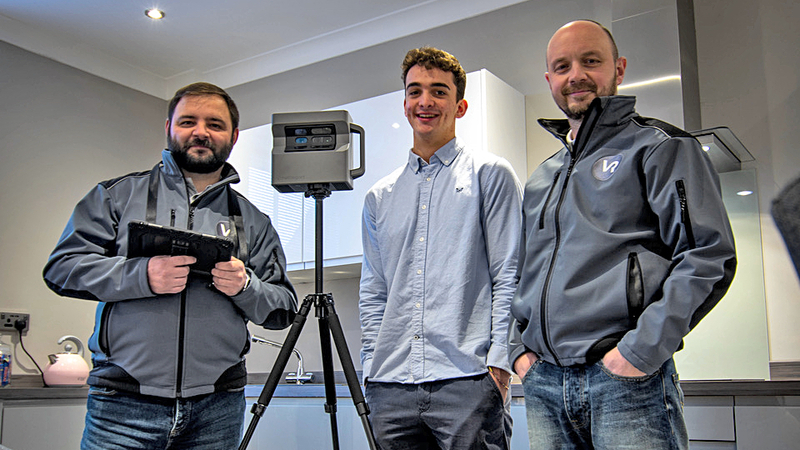 In Hull, cutting edge real estate technology has been used to illustrate high tech, high spec apartments in the Old Town, where V R Media is working with Iguana Developments to create 360 degree virtual reality tours of apartment interiors at Liberty House on Liberty Lane. 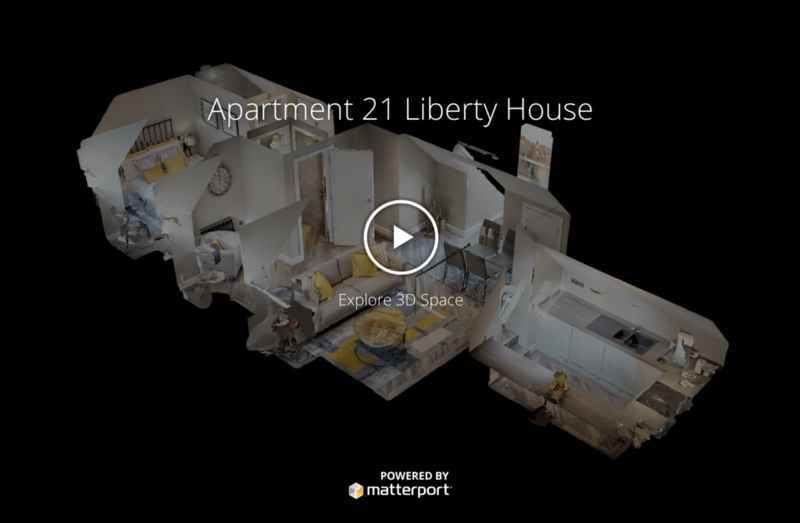 V R Media use a special Matterport 4K camera to take a full scan mapping each room, giving immersive tours for a better sense of the space. As a new company, V R Media was set up this year by Dave Ricks who recently sold his leather manufacturing company, Gostelows in Hull and, Rich Purdy who was an employee of the business. Together as Directors of V R Media they engage with businesses wanting to adopt video tours across a variety or industries. Charles Weeks, Sales and Marketing Manager at Iguana Developments said: “We believe that Iguana Developments offers something new to the property market in Hull city centre and were very impressed with the videos produced by V R Media to showcase what we do. Screenshot of one of the ‘doll’s house’ walkthroughs created by VR Digital Media. See their website, linked below, to explore the walkthrough. Dave Ricks from V R Media says: “The team at Iguana Developments is refurbishing properties to a very high standard in the Old Town of Hull. Anyone wanting to view the properties can inspect them online before arranging to view in person. We believe this increases the number of enquiries as they have a better understanding of what it looks like. “The apartments have very generous proportions and the sense of increased space comes across in the doll house views, helping to engage house hunters while they are searching for their perfect home. Be the first to comment on "Cutting edge technology showcases high tech apartments"